"Date line" redirects here. For other uses, see Dateline (disambiguation). 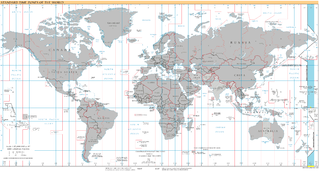 Time in the United States, by law, is divided into nine standard time zones covering the states and its possessions, with most of the United States observing daylight saving time (DST) for approximately the spring, summer, and fall months. The time zone boundaries and DST observance are regulated by the Department of Transportation. Official and highly precise timekeeping services (clocks) are provided by two federal agencies: the National Institute of Standards and Technology (NIST) ; and its military counterpart, the United States Naval Observatory (USNO). The clocks run by these services are kept synchronized with each other as well as with those of other international timekeeping organizations. UTC+14:00 is an identifier for a +14-hour time offset from UTC. This is the earliest time zone on Earth, meaning that areas in this zone are the first to see a new day, and therefore the first to celebrate a New Year. It could also be called the latest time zone on earth, meaning that clocks in this zone show the 'latest' time of all time zones. The Seventh-day Adventist Church of Tonga, or SDA of Tonga, is one of the smaller religious groups in the South Pacific island state of Tonga with over 3,599 members as of June 30, 2018, started by Seventh-day Adventist missionaries from the United States who visited in 1891 and settled in 1895. They set up schools but made very little progress in conversion, handicapped by dietary rules that prohibited popular local foods such as pork and shellfish, and that also banned tobacco, alcohol and kava. Anywhere on Earth (AoE) is a calendar designation which indicates that a period expires when the date passes everywhere on Earth. 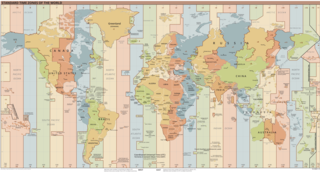 The last place on Earth where any date exists is on Howland and Baker islands, in the IDLW time zone, and so is the last spot on the globe for any day to exist. Therefore, the day ends AoE when it ends on Howland Island. Merritt Gardner Kellogg was a Seventh-day Adventist (SDA) carpenter, missionary, pastor and doctor who worked in the South Pacific and in Australia. He designed and built several medical facilities. 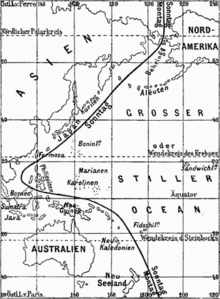 Kellogg was involved over the controversy about which day should be observed as the Sabbath on Tonga, which lies east of the 180° meridian but west of the International Date Line.